Higgins is one of the main characters from the 1980s TV series Magnum P.I.. He’s an ex-soldier, cultured, distinguished tough Brit! Readers unfamiliar with this show should first check our Thomas Magnum, P.I. profile. The show comes highly recommended! Real Name: Dr. Jonathan Quale Higgins III. Other Aliases: Lord Jonathan Quale Higgins III, “Robin Masters”? Known Relatives: Frère Paddy McGuinness (half-brother, an Irish), Don Luis Mongueo (half-brother, a Spaniard), Elmo Ziller (half-brother, an American), Soo Ling (half-brother, a Chinese), Catoomba Noomba (half-brother, an African), Elizabeth Whitefeather (half-sister), Albert Stanley Higgins (father, aka. The Duke of Perth), Matilda (great-aunt), unnamed great grandfather’s aunt (deceased, The Duchess of Clyde), unnamed sister, unnamed nephews and nieces. The disco-ish Magnum P.I. intro montage, of course. Higgins is a retired, urbane, experienced soldier. His skills range from combat tactics, strategies, weapons use, demolition, booby-trapping, cannon shooting and piloting to cultural, social and artistic skills such as acting, painting, photography and orchestral conducting. Higgins is a also knowledgeable about sculptures, foods, paintings, classic literature, acupuncture, hypnotism, snooker, botany, history, mathematics and chess. Furthermore, he is adept as animal husbandry and appraisal, basic medicine, security systems, physical combat, and, in particular, languages and writing stories. He truly is quite a marvel to behold in action given his enormously broad skill sets. Thomas Magnum is on seemingly permanent stay at the guest house of the major Hawaiian estate called the Robin’s Nest. It covers some 200 acres and is owned by millionaire pulp novelist Robin Masters. Jonathan Higgins is its majordomo . It was built in the Spanish Colonial Revival style and is located on the northern side of Oahu island on the fictional road of Kalakuau 1429 or 1541 (in reality it is located at the southeast coast of Oahu island between the small town of Waimanolo Beach and Sea Life Park and only three acres in size. The estate is valued in real-life at over 4 million dollars). 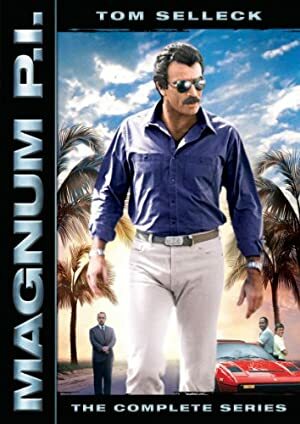 Since most of the action in the stories occur in the population centres of the south side of the island it’s good that Higgins and Magnum has access to that cool Ferrari! In addition to the two-storied main house and the guest house there are also stables, orchards, a caretaker’s house, a greenhouse, a private tennis court, a man-made tidal pool and a private secluded beach. A large open-aired garage or maintenance wing leaves room for a lot of vehicles. Landscaping tools and materials are also found there. The main house contains five bedrooms, Higgins’ study/office, a large living room, a spacious kitchen, an elegant dining room, a servants’ wing, a darkroom, a computer security room, a library, a laundry room, a sauna, plus a few utility rooms spread around the house. In the basement is found an extensive wine cellar. The Guest House that Thomas indefinitely lives in is made in Spanish Colonial Revival style. It contains a large main room with a kitchen and a bedroom with a bath. It is located on the far north side of the main estate of the Robin’s Nest and is located behind the tennis court. 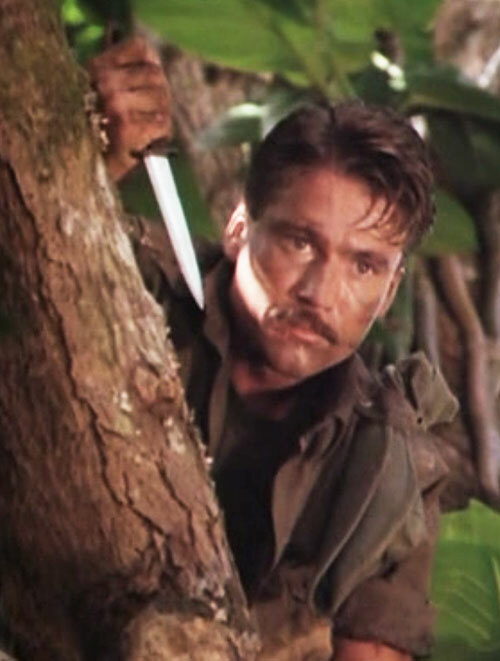 Since Robin Masters usually resides in one of his many other estates Robin’s Nest is mostly empty except for the majordomo Jonathan Higgins, Thomas Magnum and a few caretakers and service personnel. The estate is secured by a lava rock wall on three sides and an iron-gated entranceway with a keypad for codes. In addition to other security systems the property is on occasion also patrolled by Higgins dogs Apollo and Zeus. Higgins often personally arranges events — particularly on the initiative of Robin Masters — for youth leagues, cultural and social organizations and so on. All in all, it’s a pretty fantastic place Higgins and Thomas have access to! Higgins was born around 1918-1920 somewhere in England. He is the second son of the “Duke of Perth” of Scotland. He had a 37-year long military career in Her Majesty’s Service, during a period that spanned 3 wars, 5 insurrections, and dozens of minor skirmishes throughout the world! He saw extensive action in World War II and participated in campaigns in North Africa, Italy and Southeast Asia as a Regimental Sergeant Major stationed with the British Army, West Yorkshire Regiment (Prince of Wales’s Own). He later served in Việt Nam. There he assisted the French, New Guinea, India, Kenya, and several other countries working as a commando, an Army Investigative Unit or as part of the U.N. peacekeeping forces. He was also involved in espionage activities with the MI6. And during a short period he ran a hotel in Geneva, and somewhere he had time to complete a Ph.D. in Mathematics. He received numerous military decorations for his military service, including the prestigious Victoria Cross medal , which is the UK’s highest award for bravery in combat. He has since been working on his memoirs, a task which seemingly takes forever given his rich life experiences. In 1972 he was hired by Robin Masters to be the majordomo of Robin’s Nest in Oahu, Hawaii. That was after the previous majordomo, Lowell Xavier Jamison, was fired (episode 4.12). In 1975 he met fellow Briton Agatha Chumley in Oahu, who went on to become his best friend (episode 5.2). In 1976 Higgins and Robin Masters allegedly competed in a Hawaiian yacht race together. However, they lost their jib two days out and Robin broke his arm when a whale (!) rammed the boat, resulting in them finishing in eighth place (episode 5.6). In 1976 Higgins reunited with his old friend David Worth, who believed himself to be Sherlock Holmes. With Higgins playing Watson they had an adventure involving multiple disguises, a Chinese gang, British secret agents, and an opium den (episode 4.18). In 1979 Higgins was finally introduced to Thomas Sullivan Magnum IV. Magnum moved into the guest house at Robin’s Nest at Robin Master’s request, and took an immediate dislike to him. During 1980-1988 Higgins remained the majordomo of the Robin’s Nest, and was often involved in numerous adventures with Thomas and his friends Wright and T.C. Eventually and slowly over time he developed a close friendship with all of them, and then in particular with Magnum, who in many ways is his opposite. Is Higging really “Robin Masters” ? I sure am glad that you asked that question – it’s a d-rn good and interesting one! This was actually theorized by Magnum in episode 7.7 where he confronts Higgins with his theory, only to have Higgins laugh if all away (yes, Higgins actually laughed! ), and all the while he didn’t actually deny it either. The discussion came up a few more times, and then in particular in the very last episode 8.13. Whatever the truth may have been in the end if Higgins was in fact Masters then that’s a later introduced retcon in the series. The series’ creator, Bellisario, stated that he had not initially intended Higgins and Masters to be the same person, but a huge fan interest may have made the introduction of the later apparent subplots and retcons of this question viable and in-universe. Robin Masters is never, ever seen and Higgins, while only the majordomo, lives as if he owned the place. Higgins actually has the cultural skills and the life experience to make it as a big-timer of Robin Masters’ calibre. The only times Robin Masters has been shown on screen he had his back turned to the audience, and it looked as if he were Truman Capote, which would fit Higgins choice of characters to impersonate. Further, Higgins also keeps Robin Masters’s most recent book manuscript in his safe even when Masters is seemingly not even on the island. Higgins arranges all of Masters’s charities and activities with Masters never around to be seen or heard from. Additionally, Masters actually sounds exactly like Orson Welles (pretty amazing that) – which is no problem since Higgins is a great actor when he wants to be. Higgins occasionally calls Masters’s mail, account and Ferrari his own, although he will deny having said that if confronted with it. Masters has sometimes in communication referred to Higgins as “sir”, as if getting the communication from an employee. According to this theory, Higgins would have hired someone to write or call in as Robin Masters. Higgins knows exactly when Masters is going to call and Higgins even handles all of Masters’ legal stuff regarding his writing. Higgins is, in fact, privy to every small detail of Masters’s life and even manages the Robin Masters Investment funds. Higgins has identical looking brothers, whom it has been shown he is well capable of impersonating – maybe they are also in on the gig at times? Even more, Higgins himself writes serious, solid literature, while Masters write simpler, raunchier low-class novels which, however, do sell well. He even refers to his own writing as the books and Masters’ stuff as the novels. He is also a Jessica Fletcher fan, although Fletcher’s stuff may be considered high literature. Since Higgins is actual royalty he clearly wouldn’t want to bring a scandal to his family by writing low-class stuff, which would be why he would play the game of secret identities! Well, plus the laugh of it all – it would certainly fit Higgins’ dry sense of humor. Higgins once actually admitted that, yes, he is Robin Masters and that he played the façade due to tradition. However, that may only have been to entertain the ideas of Magnum who he knew was planning to leave forever (even as doing so would have been quite uncharacteristic of Higgins who usually speaks the truth in all matters) because he later wryly told Magnum that he had lied. About what? Either about having told Magnum a lie of actually being Masters or that he had been lying all these years about really being Masters. The name itself, Robin Masters, imply freedom and mastery, which fit well with Higgins sense of humor. These things said, a GM could indeed play out the Higgins is Masters-gig in full! Higgins is a very smart man and could probably pull of the act in which case his Artist (Actor) and Artist (Writer) skills would need to be raised considerably! He could thus also have the Secret Identity (Robin Masters) drawback. Higgins is a smaller male with the proper attire, manners and speech of a most distinguished British gentleman. He is often surrounded by his two large, superbly well-trained guard dogs Apollo and Zeus. When fighting physically, quite a rare occasion, he uses the Kiai shouts common in some martial arts. On the estate he will shout orders to the dogs against unwelcome intruders. Higgins is a distinguished and strict British gent and ex-military man, speaking in a thick British accent. He is the majordomo of the Robin’s Nest and therefore sometimes Magnum’s original nemesis basically functioning as his landlord. In fact, he rides Magnum pretty hard at times, and Magnum in turn sometimes messes with him just for fun. While they were instinctively enemies from the very start, his and Magnum’s relationship has slowly deepened over the years into including more than a modicum of friendship and respect for each other. 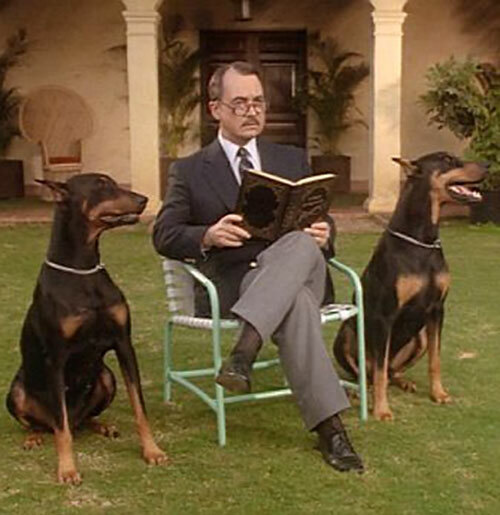 Magnum will naturally keep an extra polite profile if Higgins brings the lads, two large, well-trained hunting and guarding dogs, as Magnum fears large dogs. 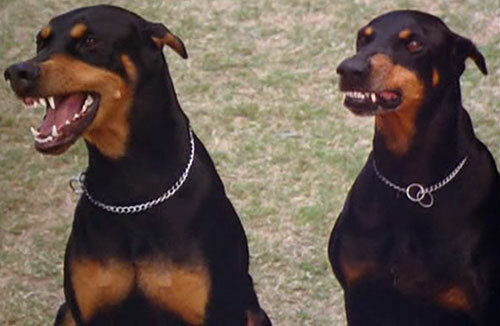 He does in fact care a great deal about “the lads” – a pair of Doberman Pinschers – who are his close friends, and will see to it that they are healthy and taken care of well. At the end, he and Magnum would be friends for life, completely trusting each other. At all times, during all the years, their dialogue was hilarious – it’s as if the two were from two different planets! Higgins is often involved in local activities and charities, including art exhibits, musical concerts, junior sporting events (he was very involved with sports in younger military days but also later with baseball, wrestling, rugby, yacht racing and pool and still takes on these youth sports and survivalist projects at times for fun), animal competitions and much more. He revels in telling personal anecdotes and stories with morals, and often does so even at the most inopportune times. To actually listen to his stories will indeed make him like you better (for example Luther and Higgins soon became workable friends initially for this very reason). Also, he loves playing out war game simulations, both on the computer and in real life. For example, he has a cannon in the yard that he enjoys firing off (even against people! ), and naturally wears ear protection while stiffly doing so. Higgins is, no doubt, quite honorable and proud and never backs down from his word. He is a stickler for security measures, proper conduct and distinguished behavior at all times – and quite proud of his fine British upbringing (although he is no racist!) – but his own interests sometimes make him act less than dignified. When his rules are broken he often gets very upset (and goes: “Oh… my…. God!) after which he has a long tirade of a rant to teach proper conduct. Also, he does not abide by disturbances of order at the Robin’s Nest, usually does not fancy Magnum’s visitors (or even Thomas’s very presence on the estate), and doesn’t like it when any facility on the property, the wine cellar, the Tennis court, the Ferrari etc. is used unsafely risking damage to it. Well, he met Dr. Sam Becket when the same was a client of Magnum’s. During his younger military days he would no doubt have worked with various non-powered wartime heroes, but also with the Justice Society, the Young All-Stars and Infinity Inc as well as with the Suicide Squad, Checkmate and Stormwatch. He would likely have had +2 APs higher Attributes and Skills at the time and had a few more Connections both to some heroes and some intelligence agencies, before retiring to become the majordomo of the Robin’s Nest and getting the Age Drawback. Connoisseur, Expertise (Acupressure, British Culture, Hypnotism, Music), Familiarity (Chess, Snooker), Iron Nerves, Languages (American Sign Language, Khmer, Japanese, French, Spanish and a few other languages), Omni-Scholar (cultures only), Scholar (Botany, History, Mathematics). Agatha Chumley (High), Robin Masters (Low), The King Kamehameha Club (High), Thomas Magnum (High, earlier None or Low). MIA (Telling personal stories and anecdotes). In his younger days, Higgins likely had one more AP in all of his Physical Attributes and Skills. He may not yet have had his Animal Handling and Artist skills and his Snooker Familiarity and Botany Scholar. Higgins is on the verge of getting the Age drawback. 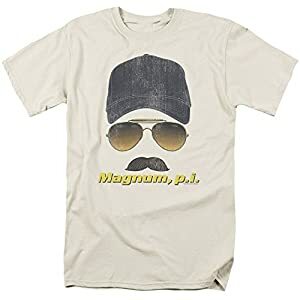 Source of Character: Magnum P.I. 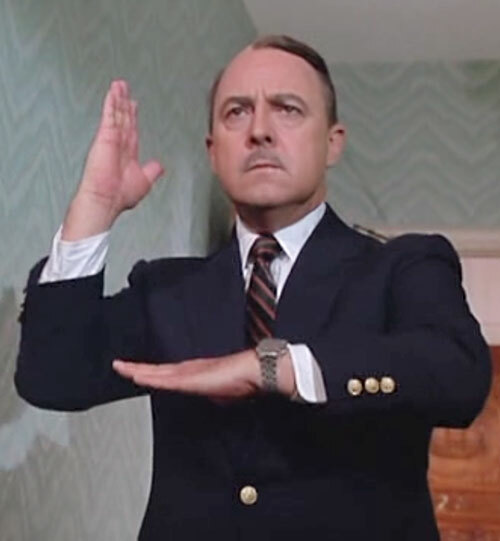 TV-series; character played by John Hillerman. Helper(s): Magnum-mania.com, Kevin Berger, Darci. Writeup completed on the 11th of December, 2013.